As masculine men, one of our biggest desires is to be dominant, respected and admired. 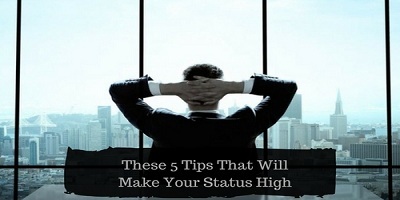 In other words, high status and today we are going through some quick and easy tips you can do right now to become a more high status. Did you know that 60 to 65% of interpersonal communication is composed of nonverbal behaviors or body language? What is interesting and alarming is that most people spend most of their time focused on what to say but only 7% of communication is through spoken words. So, the way you use your body can create a big impact on how people respond to your high stat itself. One of the most obvious yet ignored traits of a dominant body language is to simply take up more space. Think about someone who is not dominant what type of body language should they have usually those who aren't dominant tend to make themselves small and take the least amount of space possible while the dominant has a very open body language. This even happens naturally in the animal kingdom. Have you ever seen a happy dog they feel good so they expand they wag their tails, while a dog who is scared tends to shrink down and fold their tails between their legs? Same with cats whenever they need to establish their dominance especially with other cats they tend to expand to make themselves look bigger. Now in humans, we have a more interesting dynamic since we are a very socially intelligent species we do not need to try to look bigger in order to be dominant but rather to show how comfortable we are in the space. Since we don't live in prehistoric days anymore the biggest man doesn't mean he is the more dominant. In fact, if a guy tries to make himself look big he might be perceived as someone who is trying too hard to be dominant. The real reason behind taking more space is not to be intimidating but to be comfortable and in control of the environment in our society. Your state is the way you feel your mood at any given moment. So, state control is the practice of being in control of your emotions by practicing state control you will learn to remain unaffected by outside distractions, so your emotions are only dependent on you and nothing else. One of the biggest slices of your state is that you are just along for the ride, the things around you like the weather being sand in your cloudy will define whether you feel good or bad. But, this is like being a professional athlete and depending on the cheers of your fans in order to feel good about competing. It might sound good at the moment but they won't feel in control over their own emotions. Many people think that the way they feel at any given moment is just out of their control. So, what if I ask you on a scale from 1 to 10. Hatif after reading this article you play your favorite song, you make it loud and then you just jump to it. Whether you sing or dance or headbang, it doesn't matter as long as you enjoy it. The funny thing is that after reading this, your mode will be completely changed. The way you feel is fluid and it changes and you can have control over it. You are having a conversation with someone at a coffee shop and someone new walks into the shop. In the first scenario, the person you are talking too quickly turns around to see who came in. The person you are talking to completely ignores the new person and just continues the conversation. Which one do you think is higher status? 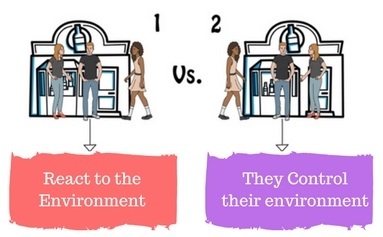 See low-status individuals are the ones who are very reactive to their environment. Whenever something happens in the environment they easily lose their focus. High-status individuals, on the other hand, are not easily controlled by their environment whether they're working on their computer or having a conversation with someone they do not lose focus on what they're doing just to react to their environment. Most of the people we meet fall into two main categories. Carefree and Prone to worry. Most carefree people seem to always be relaxed, they have a great vibe and just go with the flow of life. Carefree people are naturally more attractive because nothing seems to faze them. People are prone to worry the opposite they hardly relaxed and their vibe can be pretty negative, see these people were not born with the ability to not worry. The reason why these people can be so careful is that they are clear on two main things. A great exercise for this is to take a piece of paper and list out everything that is in your mind for around three to four minutes and then go through everything you listed and circle the things that are within your control. Then go through the things you circled those things that you have control over and put a star on the things that really matter to you. These are things you will dedicate most of your energy on. See these awesome carefree people don't have zero worries but they do not give mental energy to the things they cannot control. Most of the stress and anxiety in our lives are from those things out of our control. A big source of energy for these high-status individuals comes from their hunger, their ambition to complete, their goals to fulfill, their destiny. This is one of the reasons why they are nonreactive or seem to be carefree because they are focused on one thing their mission. They find the reason why they do what they do. The reason why ambition plays a big role in status is that when you become incredibly passionate about your mission in life you become more fearless. Since nothing is more important than to dominate your life, nothing can really take. You down you create a sort of indifference to things unrelated to your mission making you more powerful, respected and attractive. The reason why high-status people are more attractive is that everything else comes after their mission, they know that most things don't matter. Therefore, they can enjoy their life much easier. So, to be a high-status person you must understand that most of the communication happens with your body language. So, by having an open and comfortable body language you show that you are in control. Understand that very few things outside of yourself are actually important. Therefore, do not spend time reacting to them focus on practicing state control. Remember, your emotions are not out of your control, identify what you can control in what matters to you the most. This way you become more carefree and stop giving energy to things you cannot control and let your ambition be the fuel to lead you through your high-status life.